It was an overall hot, humid and busy week! Running still felt nice as I already know to adjust my mindset and pace according to the weather. 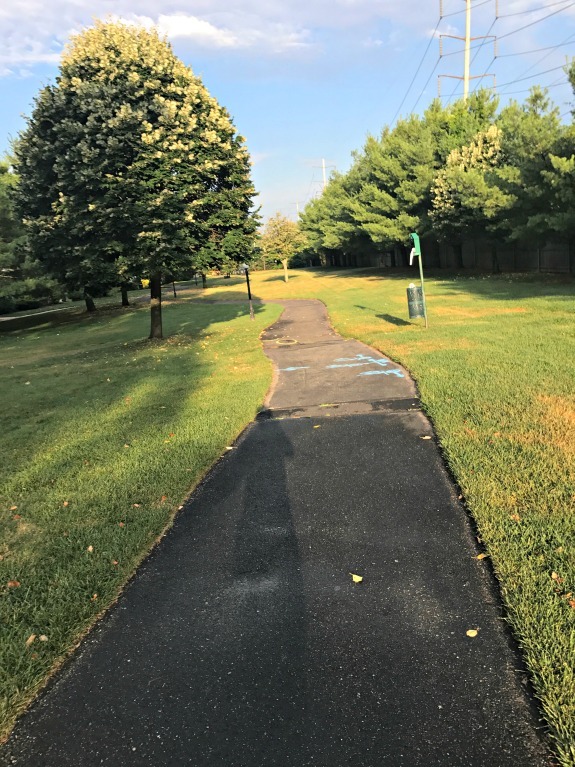 I am really just happy to run every morning, not caring about specific workouts or pushing myself to move any faster than what feels comfortable on any given summer day. This is exactly what I told Laura as she prepared my new TRAINING PLAN!! YES. Tomorrow begins a month of training with Laura before she creates a half marathon training plan for me to follow. 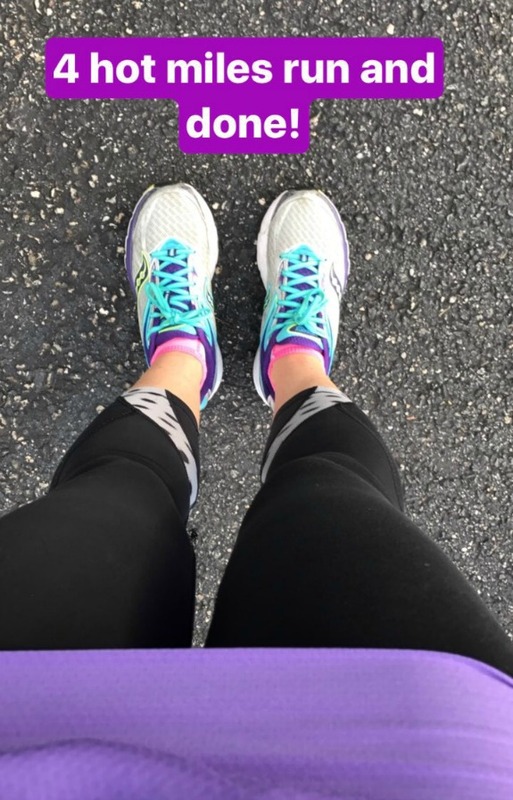 I haven’t exactly narrowed down which Fall half marathon I will be running but I asked Laura to create a training plan for now that would just be something a little different from my usual routine. With my schedule busy and the weather so humid, I asked her to give my routine a shake up without heavy speed work because I just can’t even go there just yet in the summer! Of course I will keep you updated on the workouts and how I like the change to my routine. It’s not overly different from what I am used to, she just mixed up my daily mileage while applying slight workout-styles to the mileage without pushing me too hard. Pure Barre is still in the mix but the next two weeks it will be on what looks like a reduced schedule. 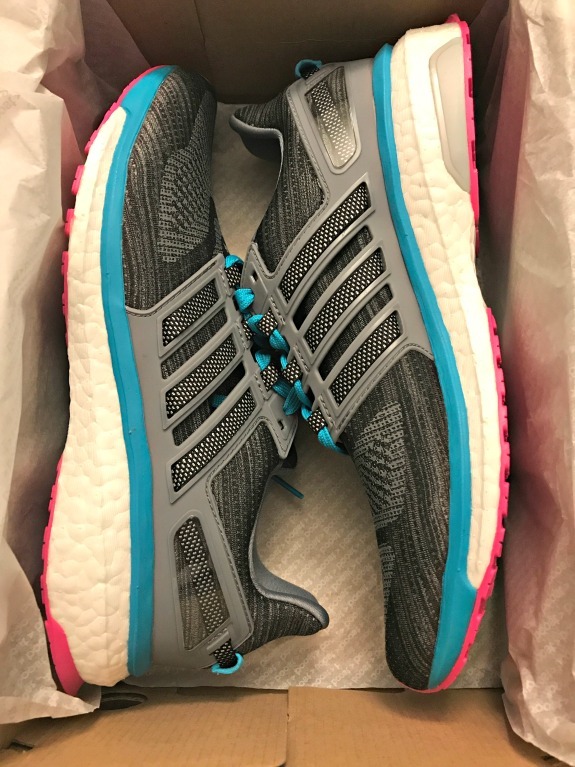 The best part of starting a new training plan tomorrow is that I FINALLY picked up a new pair of my Adidas Energy Boosts. I haven’t worn them yet so the first run in them will be tomorrow. Can’t wait! I woke up so tired today and I don’t even know why. Of course being tired also coincided with the one day of the week that I am in the rush to get moving in the morning. I went with my favorite 30/30 combo of running easy outside for 30 minutes followed by a 30 minute Pure Barre workout. I chose the Pure Barre workout that involves using a towel as resistance which I love. This workout really works on your balance along with strength. It was warm and humid and my running shoes had absolutely reached their last run. I still made it 7 miles because I wasn’t in a hurry, didn’t feel rushed and just ran where my pace felt comfortable. In my head I planned to run 3 miles but once I approached the 3 mile mark, I just kept going until 4 miles total. I was running easy and enjoying my music so I saw no reason to stop! Came home for a Pure Barre workout and went with a Pure Barre 30 minute burn. This particular workout really works all muscle groups at once because quite often you are holding weights while doing lower body. 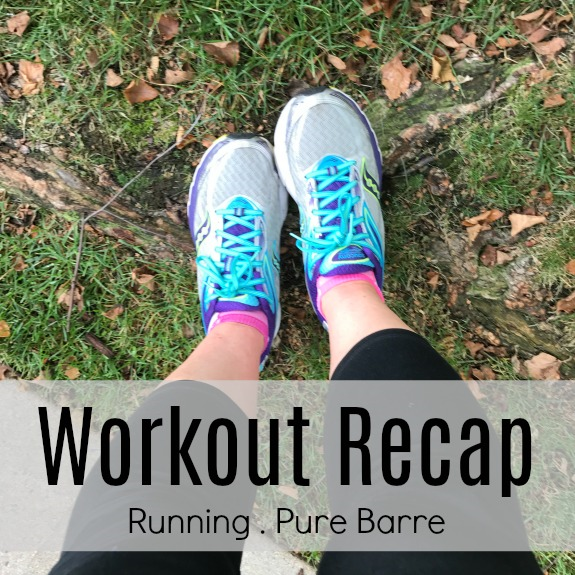 Love this Pure Barre workout! Okay it was way too hot and humid for me to run outside, even at 6:30 am! I started outside but only made it about 1.5 miles before running myself right to the gym for the treadmill. It was great actually to get right on the treadmill to find myself warmed up and ready to jump into some speed. I played around with the incline and speed for 5 miles and then ran a cool down (but not really) outside for almost half a mile before going home. It was overcast and maybe a bit damp rather than oppressive humidity so these 5 miles weren’t too bad. I was running easy and chatting on the phone so the time flew by. If you think talking while running is hard, try laughing while running. My friend Meaghan had me choking from laughing. I wonder if the dog walkers in my neighborhood were listening to my end of our conversation. Quick Pure Barre combo when I got home! I combined three of the 5 minute workouts: thighs, arms and seat. It was 100% humidity but overcast so I guess it could have been worse. Definitely not running today but I am super excited about my new training plan AND new running shoes for tomorrow morning! Laura has given me this next month of training as a birthday gift and I can’t thank her enough! Remember, I trained with her last year for the Long Island Half Marathon and value everything she says and every workout she plans. How was your week in workouts? Did the weather affect you at all? Was it really hot and/or humid? Are you registered to run any fall races yet? Will you be following a training plan? When was the last time you replaced your running shoes? Thats really exciting! I love having training plans made for me. It was really nice having strength workouts planned out over the last 6 weeks and now I need to try to figure out how to do it on my own. Enjoy the new shoes! Well, I think you should fly out this way and pay Laura a visit–because then I can drive down and visit you both!!! I really need to fly to Vancouver for a Canucks game because my all time favorite Islander is now your head coach! !